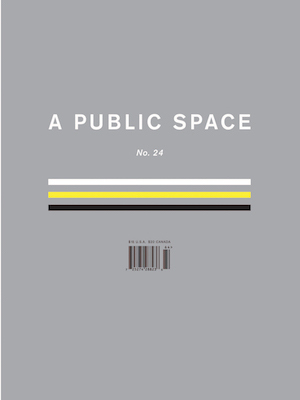 The Other Interest: Etel Adnan on weaving; poetry by Giorgio de Chirico; David Lynch paints; a memoir by Gordon Parks; Sally Potter's work diary; Dorothea Tanning's fiction; New work from Martha Cooley, Dan Chelotti, Graham Foust, Katy Lederer, Fadwa Suleiman and others; and introducing Jai Chakrabarti, Cornelius FitzPatrick, Arinze Ifeakandu, Mahreen Sohail, and April Wolfe. I begin to feel uneasy and then I disappear. In 1947, Dorothea Tanning was already known as a painter when the magazine Les Quatre Vents published her story “Dream It or Leave It” in an issue devoted to the Surrealists, revealing her as one of the group’s rare members with talent as both a visual artist and a writer. I am afraid, too, of unforeseen events, cats, acts of violence, sickness, steep hills, the power of the unknown and my own potential. All unsurprising fears. You are about to witness a remote and covetous collaboration between flower and beast. It’s not so much a matter of finding a fictitious self, but rather locating how to inhabit a space with presence. I can feel a little bit of a story before the frame that’s the painting and a little bit of the story afterwards. All a ghost wants is to be chained / to a place, to someone who can’t forget / her. Maybe those women felt as mercurial and blurry as she often did. Well, not blurry, exactly: incompletely inventoried. Like a house with unexplored rooms. I watched her once unhook dead branches / from a living tree. It has taken me a light-year to not come to terms with dying. Something bad, something sequential, is happening to you. / Maybe not to you, but in the place you’re standing. No ruse better than a woman in the home, Nikhil had argued over a year ago, and eventually Sharma had agreed. He wanted to be equal to the gaze of the sky. You were so far away from her and too scared to close the distance. My sister and I were only small-scale sinners.